Indus is influenced with a variety of traditional cuisines from the time of Indus Valley Civilization to Modern India. The diverse, tasteful & authentic Indian cuisine with regional flavors has been judiciously put together by our master chefs to appeal to not only Indians but global citizens. 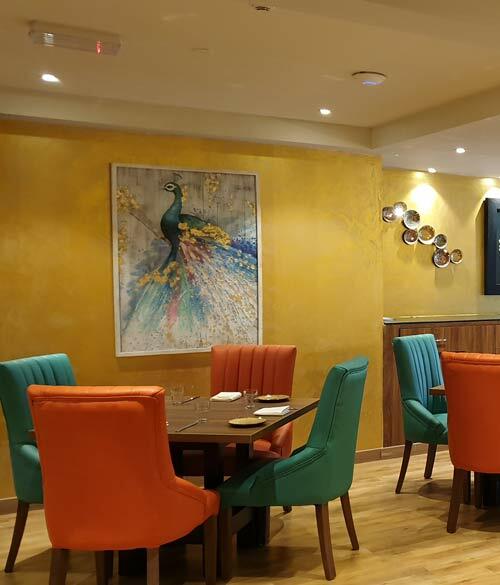 There is much to be discovered with the eclectic menu reflecting India's multi-cuisine culture for our discerning guests. 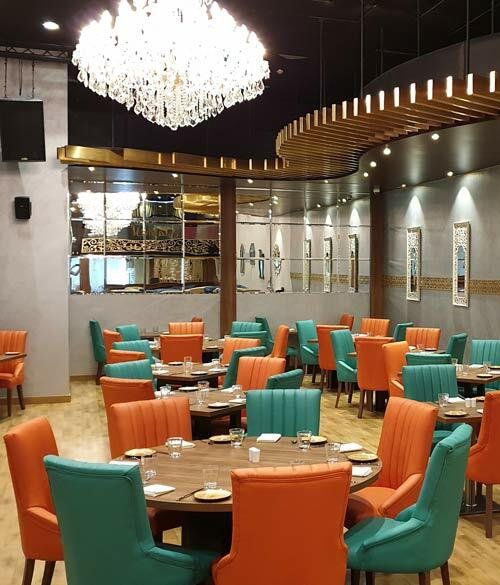 The menu, starting from appetizers to an extensive mix of main courses to thoughtfully created tasting menu, with a section of lip-smacking the ever-so-popular street food & chats of India, cuisine at Indus provides sustenance with its diverse range of ingredients, flavors and taste. With the food menu, Indus has an array of thirst quenching & signature beverages masterfully curated by our brilliant baristas. Each dish is an amalgamation of traditional and modern Indian cuisine, plated in a non- conventional style, leaving guests asking for more amidst an ambiance of entertainment that takes us on a journey of Indian cultural & contemporary art forms of music, dance, stand-up, art, fashion & more creating an exhilarating experience for our guests. Private Dining Area is an elegant space for those who wish to book a private area for lunch or dinner with family or friends, host a private party gathering of approx 20 to 25 guests seated with closed doors. However, the doors open out to the main lounge & dining floor. It's also the perfect space for small conferences or meetings, with requirements being organized as per your specifications. Overlooking the main lounge & dining area on the ground floor, the Stardust lounge on the mezzanine floor exudes an atmosphere of panache & class. It's aspirational and meant for those who believe in luxury & style. It reflects the spirit of our globally popular Indian Film Industry with reminisces & display of imagery & books on Bollywood, as it is widely known. 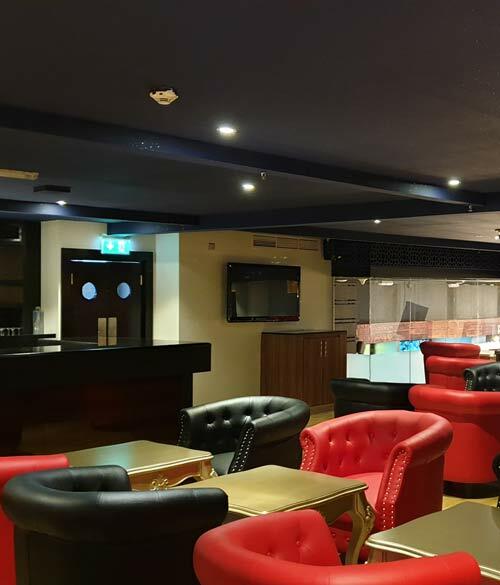 The Stardust lounge provides for a well-appointed seating space for 35 guests; with a separate bar counter serving exclusive beverage options besides full menu from finger foods to main course. The plush space can host a range of private parties, celebrity tables & exclusive events customized to your taste.